It was one of the defining moments of the year: on 7 May president-elect Emmanuel Macron strode towards the stage outside the Louvre to give his victory speech to Ode to Joy. Much has been written on what that moment meant for France as a more confident, globally-minded country. The triumph of a 39-year-old ex-banker who marked his success with the EU’s German-born anthem rather than La Marseillaise has done much to raise hopes in the French business community. 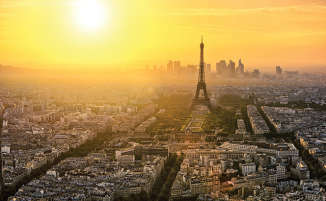 Rising confidence is obviously welcome for the profession with the French legal market remaining one of Europe’s key hunting grounds and – unlike Germany’s increasingly-price-sensitive sector – one that comfortably sustains Global 100-level profitability. Such hopes are underlined by a robust economic showing this year with France projecting annual GDP growth of 1.7%, well ahead of the UK. And there is much hope that Macron’s programme, including the flagship labour law reforms passed in the autumn, will bring further investment. Deal activity has remained solid, with high-end advisers increasingly focused on the outbound M&A that French champions routinely generate. Since the banking crisis, deal work has tilted somewhat away from public M&A, one reason for the heavy private equity investment of recent years. Nevertheless, the warm post-election mood has yet to drive major domestic activity. After a busy first half, France’s Q1-Q3 deal count was 1,389 according to Thomson Reuters, down 30% on the same period in 2016. Despite expectations that France’s legal scene would move to a City-style institutional model, Paris’s profession is as defined as ever by star individuals, one of many reasons US firms feel at home. A few stars and 120-150 lawyers in the capital is all you need to compete at the very top of the game. The pecking order has not changed hugely in recent years, though Cleary Gottlieb Steen & Hamilton’s commanding reputation, thanks to heavyweights like Pierre-Yves Chabert, has, if anything, grown. 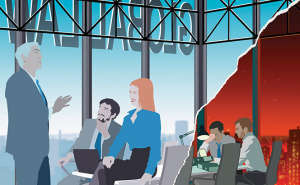 Linklaters and Clifford Chance are typically the best regarded of London firms. A quick glance at two of this year’s top deals is telling. The €15bn merger between German Siemens’ and French Alstom’s railway operations was led by Cleary, Latham and Freshfields Bruckhaus Deringer. And the €50bn merger of French Essilor International and Italian Luxottica Group again saw Cleary involved. Bredin joined the table with its Italian ally BonelliErede. It is a striking turnaround for a legal market that spent most of the last 15 years in danger of relegation into the minor leagues. As such Bredin jumped from fifth to first place in Mergermarket’s local advisers table for deals value in Q1-Q3, above Cleary and Jones Day – with rankings for volume still dominated by global players, with DLA Piper, Orrick, Herrington & Sutcliffe (Orrick Rambaud Martel in Paris) and Linklaters in the top three spots. The last two years have been active for senior moves. This year has included a 12-lawyer property team quitting Herbert Smith Freehills (HSF) for CMS and Reed Smith hiring three partners from Winston & Strawn and an 18-lawyer team from the imploding local arm of King & Wood Mallesons. Top 100 US firm Ogletree Deakins also launched locally after hiring 11 lawyers and staff including two partners from Olswang and Hogan Lovells, and Quinn Emanuel Urquhart & Sullivan tapped Allen & Overy and HSF for senior arbitration talent. A four-partner team quit Ashurst for Gibson, Dunn & Crutcher in the summer, four months after Freshfields hired a five-partner private equity group, losses that halved the size of Ashurst’s local arm. 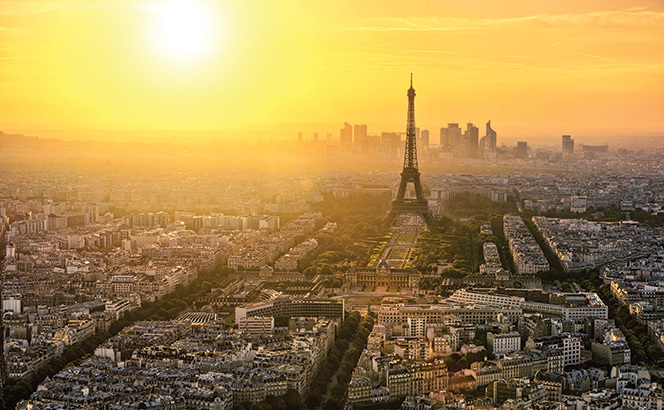 As well as one of the largest team hires between major City law firms for years, the move will be significant for Freshfields, which has been striving to reposition its struggling Paris office after a period of departures and managed exits. And while local lawyers typically expect Frankfurt to get greater Brexit dividend than Paris, it is also hard to see an outcome that does not provide some upside for the French capital as a global hub. All in, it is a striking turnaround for a legal market that spent most of the last 15 years in danger of relegation into the minor leagues for global advisers. Macron or not, the mood has not looked this upbeat in Paris since the late-1990s boom.